- There is another page where these texts are sorted by author's name. - There is a separate page for texts by Sri Aurobindo and the Mother. - If you would like to publish your paper here, please contact us. 1	Foundations: What is Indian Psychology? Auluck, Shanti (2007). Psychology: the need of a paradigm change. The article is a general introduction to Indian Psychology. It discusses the various implications it has in the current field of psychology. Braud, William G. (2007). Integrating yoga epistemology and ontology into an expanded integral approach to research. An excellent survey of the methods used in Transpersonal Psychology. A slightly revised version of this article has been included in Matthijs Cornelissen, Girishwar Mishra and Suneet Varma (eds.) (2011), Foundations of Indian Psychology (Vol. 1), New-Delhi: Pearson. Cornelissen, R. M. Matthijs (2000). The Integration of Psychological Knowledge from the Spiritual Traditions in the Psychology Curriculum. A paper published in the journal of the Consciousness and Experiential Psychology section of the British Psychological Society (August 2000). Cornelissen, R. M. Matthijs (2001). Consciousness and Its Transformation. Cornelissen, R. M. Matthijs (2001). Introducing Indian Psychology, the Basics. Cornelissen, R. M. Matthijs (2002). Integrality. An informal talk given at the Cultural Integration Fellowship in San Fransisco, linking the concept of integrality back to the Sanskrit word "purna" (April 2002). Cornelissen, R. M. Matthijs (2005). Psychology: Five major Indian contributions. This article discusses the five major contributions which the Indian tradition can make to psychology, and then focusses on six passive and six active aspects of consciousness as conceptualized by Sri Aurobindo. Cornelissen, R. M. Matthijs (2009). What is knowledge? A reflection based on the work of Sri Aurobindo. This article looks from an experiential angle at the different types of knowledge that are involved in yoga-based research. A slightly shorter version has been included in Matthijs Cornelissen, Girishwar Mishra and Suneet Varma (eds.) (2011), Foundations of Indian Psychology (Vol. 1), New-Delhi: Pearson. Cornelissen, R. M. Matthijs (2011). Types of knowledge and what they allow us to see: How our research methods affect the quality of our psychological understanding. Cornelissen, R. M. Matthijs (2014). A few slides. This article is an annotated list of PDF files with Keynote slides on issues like: types of knowledge; methodology & epistemology; consciousness; the structure of the personality; etc. Cornelissen, R. M. Matthijs, Misra, Girishwar, & Varma, Suneet (2014). Introduction to Foundations and applications of Indian Psychology. Cornelissen, R. M. Matthijs, Misra, Girishwar, & Varma, Suneet (Eds.) (2011). Introduction to Foundations of Indian Psychology. Dalal, Ajit K. (2010). A journey back to the roots: Psychology in India. This chapter traces the history of psychology in India and discusses how it can be enriched by drawing from the classical Indian texts. Dalal, Ajit K., & Misra, Girishwar (2002). Social psychology in India: Evolution and emerging trends. The chapter deals with growth and expansion of social psychology in India. It illuminates how western social psychology went through the process of indigenization in India. Dalal, Ajit K., & Misra, Girishwar (2010). The core and context of Indian psychology. This article makes an effort to conceptualize and situate the emerging field of Indian psychology (IP) in the disciplinary matrix. 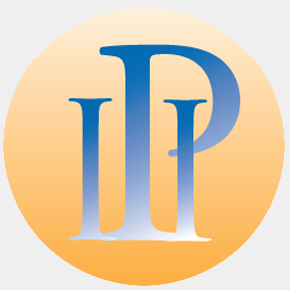 The meaning, scope, critical features and misconceptions about IP have been articulated. Mohrhoff, Ulrich (2001). Beyond the cookie cutter paradigm. This paper brings together the theories of quantum physics with the Indian concept of consciousness. Paranjpe, Anand C. (2005). Building tall on solid foundations: Directions for indigenous personality research in India. The chapter identifies the most fundamental concepts and insights from the Indian tradition in the field of personality and the self. Yoga and Advaita are further considered as ways of personality development and self-realization with a comment on possible types of research concerning traditional Indian forms of counselling. Rao, K. Ramakrishna (2005). Scope and substance of Indian Psychology. Indian psychology studies consciousness in its multifaceted manifestations and offers a set of practices which can be used in realizing truth and for the transformation of the human condition towards perfection. Salagame, Kiran Kumar (2008). Indian thought and tradition: A psychohistorical perspective. The chapter examines the different senses of "Indian psychology". It also discusses the basic concepts and constructs and presents a well-rounded historical introduction. The development of Indian psychology is traced from the Vedic times to the present day, looking for some commonality between disparate thought systems. Salagame, Kiran Kumar (2010). Indian indigenous concepts and perspectives: Developments and future possibilities. Sharma, Pulkit (2006). Science and spirituality: From impasse to innovation. This paper addresses the split created between 'science and spirituality' within dominant academic discourse which is leading to inner chaos in the minds of modern youth. It has further highlighted the need to have a dialogue between scientists and spiritualists to bridge the split. Shirazi, Bahman A. K. (2001). Integral psychology, metaphors and processes of personal integration. Singh, Kundan (2001). Beyond postmodernism: Towards a future psychology. This paper explores the connection between postmodern thought and mysticism with reference to psychology. Singh, Kundan (2014). Laying the Foundations for Indian psychology. Narayanan, S. (2001). The probabilistic orientation. Reddy, Ananda (2001). Vedantic yoga-psychology. Basing itself on ancient Indian thought this article explores the scope and meaning of Vedantic yoga-psychology. Sahay, Pragya (2004). Liberation and Transformation through Yoga. This paper discusses how one can get liberation from desire and transform the lower nature through yoga. Salagame, Kiran Kumar (2001). Contextual approach to meditation and integral psychology. This article delves deeper into the spiritual dimension of yoga and meditation and explores the real meaning of these terms from the viewpoint of serious practitioners and researchers. Sharma, Chote Narayan (2001). Consciousness and its transformation (CNS). Bhawuk, Dharm P. S. (2005). A model of self, work, and spirituality from the Bhagavad-Gita: Implications for self-efficacy, goal setting, and global psychology. This chapter offers an indigenous method to derive a model from the Bhagavad-Gita to show how our physical self is related to social self and work. It highlights how intentional work leads to an entrenched development of social self whereas an indifference towards the fruits of our actions leads us towards our real self. Further, the implications of the model on self-efficacy and goal setting are discussed, together with the possibility of indigenous psychology developing into a global psychology. Choudry, Anuradha (2004). The Legend of the Angirasa Rishis and the Lost Cows. The article bases itself on the psycho-spiritual interpretation of the Vedas as given by Sri Aurobindo. It examines in particular the famous Vedic legend of the Angirasa Rishis and the lost cows. Cornelissen, R. M. Matthijs (2009). Sri Aurobindo, A short biography. Iatsenko, Vladimir (2008). Vedic Studies: Hymns to Indra, RV 5.29 - 5.34. Here are posted the various hymns that are studied at the weekly class held at IPI by Vladimir. Kapur, Preeti, & Misra, Girishwar (2003). Image of self in the Sikh community: Continuity of the core and global presence. This article explores the social, psychological and historical processes through which the Sikh community has categorised and differentiated itself from other communities to form a distinct identity. The self-construal of the Sikh community is constituted by spiritual, heroic and aesthetic images. It has a core of shared religious, social and cultural attributes, and a unique blending of continuity and change has helped the Sikh community to have a global presence. Miovic, Michael (2004). Sri Aurobindo and Transpersonal Psychology. This article provides an overview of Sri Aurobindo’s psychological thought and system of Integral Yoga Psychology (IYP). Relevant biographical and historical background are introduced, and Sri Aurobindo's influence on the development of transpersonal psychology reviewed. Using Sri Aurobindo’s cosmology of consciousness as a framework for transpersonal experience, IYP’s model of planes of consciousness and parts of the being is explained and illustrated with quotations from Sri Aurobindo’s writings. Emphasis is placed on the psychic being (soul) and overhead planes of consciousness, as these are central to IYP’s psycho-spiritual method of transforming the ego. Finally, implications for transpersonal development and transpersonal therapy are formulated, and some clinical applications given. Shraddhavan (2001). Savitri, a key to Sri Aurobindo's "psycho-cosmology". Basu, Arabinda (2001). Sri Aurobindo's metaphysical psychology: A brief introduction. This article briefly explains Sri Aurobindo’s system of yoga and psychology. Cornelissen, R. M. Matthijs (2001). Introduction to Consciousness and Its Transformation. Cornelissen, R. M. Matthijs (2001). Towards an Integral Epistemology of Consciousness: A radical proposal based on Sri Aurobindo's work. A paper presented at the National Institute of Advanced Studies in Bangalore during a conference on Consciousness and Evolution (June 2001). Cornelissen, R. M. Matthijs (2002). Sri Aurobindo's Evolutionary Ontology of Consciousness. In this article a comparison is drawn between Sri Aurobindo's evolutionary conceptualization of consciousness and the concepts of consciousness more commonly encountered in contemporary consciousness studies. A number of ontological and epistemological questions arising out of this comparison are discussed. A slightly modified version was published as a chapter in Helmut Wautischer (ed.). (2008) Ontology of Consciousness: Percipient Action, Boston: The MIT Press. Iatsenko, Vladimir (2001). Sanjnana, ajnana, vijnana, prajnana. Mathew, V. George (2001). Models of consciousness and its transformation. This article explores the models of consciousness from the Indian perspective. Mathew, V. George (2004). An Integrative Model of Personality and Personal Growth. This paper elucidates the role of the psychologist in the Indian tradition and reaffirms that personal growth is indispensible to lead an integrated and happy life. Menon, Sangeetha (2001). Beside the intentor and the integrator: Looking at two faces of consciousness. This article explores the question whether the duality involved in understanding consciousness is true or not. Srivastava, Mukesh (2004). Self and Consciousness. This paper develops the thesis that consciousness per se is not constructed or shaped by the material process of cognition or perception triggered by the brain, but that in the ultimate sense, the nature of consciousness may appear to be like that of an energy field transcending the boundaries of individual brains and all external objects. Velmans, Max (2001). A map of consciousness studies. Basu, Soumitra (2001). Integral psychotherapy: Personal encounters. The author presents here his ideas and experiences about integral psychotherapy, a therapy that bases itself on ‘the consciousness paradigm’. Cornelissen, R. M. Matthijs (1998/2005). Self and personality in Sri Aurobindo's yoga: An overview of his terminology. An overview of the terms Sri Aurobindo uses to explain the different parts and planes of our nature. Cornelissen, R. M. Matthijs (2003). Onward she passed... Rejection as described in Savitri. The article takes examples from Savitri, a book by Sri Aurobindo, to explain the concept of "rejection", one of the three main skills needed for any true spiritual endeavour. It traces the crucial role played by rejection in the yoga of Ashwapati and Savitri. Cornelissen, R. M. Matthijs (2011). Beyond the mask: An exploration of human identity based on the work of Sri Aurobindo. After a quick attempt at placing "Indian Psychology" within the context of mainstream academic psychology, the first half of this article discusses the methods that Indian psychology uses to explore our human sense of identity. The second half offers some of its salient findings, regarding both, our surface nature and our innermost Self. Cortright, Brant (2001). Integral psychotherapy as existential Vedanta. Dalal, A. S. (2001). Reversal of consciousness, thoughts on the psychology of the new birth. Dalal, A. S. (2004). Sri Aurobindo on Cosmic Consciousness: An Integral View. The article mainly focuses on the theme of cosmic consciousness as presented by Sri Aurobindo in his writings. Dalal, Ajit K., & Cornelissen, R. M. Matthijs (2010). Sri Aurobindo: A Yogi and a Poet. The chapter discusses the biography of an eminent Indian yogi and a poet, Sri Aurobindo. It also throws light on his creative genius as evident in his writings, particularly in his classic work, Savitri. Huppes, Neeltje (2008). Workshop teaching psychology: The methodology of an integrated approach. This article is a practical guide for a workshop that explores a new way to understand and teach psychology. It states the importance for change in the objectives and methods of psychology education. Huppes, Neeltje (2010). Emerging Concerns and Procedures Related to Education of Values: The Vision of Sri Aurobindo. This article bases itself on the ideas of Sri Aurobindo. It talks about the developmental model of education based on universal principles such as self-awareness and self-development of the students and the teachers. Miovic, Michael (2001). Towards a spiritual psychology: Bridging psychodynamic psychotherapy with Integral Yoga. This paper argues that “the fundamental questions of metaphysics are not trivial, because the answers we select for them determine the framework of metapsychology, and that in turn influences clinical practice”. In other words this paper attempts to show how Eastern and Western psychologies can be integrated using a spiritual metapsychology, and how this would affect the theoretical basis of psychotherapy. Mohanty, Bindu (2007). Auroville: Towards a Spiritualized Society based on Integral Yoga. The paper seeks to present preliminary findings from a qualitative research project – an interpretive inquiry — that explores how spiritual ideals held by individuals inform the social psychology of Auroville, a growing international town of 1,800 people from over forty countries. Narayanan, Annalakshmi (2004). Integral Psychotherapeutic Intervention for Disturbances of Mind, Body and Vital among Adolescents. Pandey, Alok (2001). Practical aspects of integral psychotherapy. This articles draws the general outline of the principles and techniques of integral psychotherapy. Pandey, Alok (2009). Consciousness based approach: An overview. The article focuses on a consciousness-based approach towards health and healing. According to the author an illness is essentially an inner disequilibrium and that the healer’s task is primarily to help the patient regain the inner and the outer balance. Patel, Aster (2001). Working in Matter. Salmon, Don (2001). Voyaging through worlds of splendour and calm: An experience of integral psychology. This article illustrates the principles of Integral psychology with the help of various exercises and practical examples. Sibia, Anjum (2011). Life and learning at Mirambika: Towards evolving mind. This article uses the ethnographic method to examine the teaching-learning process in Mirambika, a centre for learning based on Free Progress Education, as outlined by Sri Aurobindo and The Mother. 2	Self, personality and their development: Who am I? Huppes, Neeltje (2005). The evolving soul, a key concept in Sri Aurobindo's work: Its ramifications for further development of human potential and Indian Psychology. This chapter elucidates some of the deepest and highest horizons of mankind based on Sri Aurobindo's vision. Sri Aurobindo foresaw new possibilities for the human instrument and developed techniques for the further development of human potential. The evolving soul or psychic being has an important role in this new development. Rai, Pramod Kumar (2004). Unveiling Consciousness: Vedantic theory of personality revisited. This paper discusses the structure of human personality as found in Vedantic psychology and concentrates in particular on the theory of “panch koshas”. Varma, Suneet (2005). From the self to the Self: An exposition on personality based on the works of Sri Aurobindo. The focus in this chapter is on the conceptualization of the person from Sri Aurobindo's perspective. The author demonstrates clear links with the larger Indian perspective which the author has been able to personally relate to, and differentiates Sri Aurobindo's perspective from some major schools of mainstream psychology, like Psychoanalysis, Behaviourism, Humanistic psychology and Transpersonal psychology (which comes closest to the Indian perspective). Vimala, T. D. (2004). The Indian approach to personality development. This paper examines the ashrama scheme of life and other traditional practices for the integrated development of personality which equips the individual to face contemporary challenges and lead a fulfilled life. Gaur, Sunil D. (2005). Self in contemporary life: Challenges and possibilities. In contrast to Western psychology which provides an outward-looking view focusing on the problems faced by man and their solutions, Indian psychology views such problems as related to deeper philosophical aspects of the human being and suggests an inward-looking approach to solve them. The quest for self and identity and the nature of self as "witness" provides the platform for psychological enquiry and research at different levels of existence, from biosocial to spiritual. Kishore, K. (2011). Women's identity in psychological theory and the Indian cultural context. This paper attempts to examine some of the predominant theories within psychological discourse on women's identity that are centred around either the ground plan of the body or around relational models of connectedness, interdependence and ethics of responsibility. The paper calls for an approach that looks at the construction of gender as a product of particular cultural circumstances and gender relations as endlessly adaptable and inventive. It also suggests that any study of women's identity in the Indian cultural context must deconstruct the singular monolithic notion of womanhood and explore the aspects of women's identity as coloured by differences of caste, class, region, generation, etc. Srivastava, G. N. Prakash (2004). Indigenous Approaches to Self and Consciousness. Rajalakshmi, N. P. (2004). Vanaprastha — An Experiment, A Way of Life. This paper presents a broad overview on a unique experiment in community living by senior citizens called “Vanaprastha”. It presents a plethora of opportunities for research in the area of old age, living situations for the aged and effects of spiritual practices. 3	Pathways to knowledge: How do I know? Sharan, M. B. (2005). Understanding of human mind and behaviour: The missing link of intuitive experience. This paper calls for Intuition as a method of psychology and suggests how intuitive mind can be developed for having intuitive experience. Cornelissen, R. M. Matthijs (2006). Research about yoga and research in yoga: Towards rigorous research in the subjective domain. This article tries to explain how first-person, yoga-based research can be made rigorous and reliable. Cornelissen, R. M. Matthijs (2007). In Defence of Rigorous Subjectivity. This article gives the basic argument why rigorous, yoga-based, research of first person experience is necessary to take Psychology further. It is based on a keynote given at the Annual Conference of the Transpersonal Psychology Section of the BPS in 2007. Dash, A. S. (2004). Methods of Study in Indian Psychology. This paper discusses the various methods applied by some of the ancient Indian systems to study the human mind. Singh, Avadesh (2004). On the Hegemony of Western Research Methodology: Quest for Alternative Indian Perspectives. The article explores the Indian theories and perspectives on research methodologies. Boroditsky, Lera (2009). How does our language shape the way we think?. 4	The taste of life: How do I enjoy, work, love, adore? Madan, Ranjana (2004). Managing Self by Detached Involvement. This paper bases itself on the teachings of The Mother and Sri Aurobindo and discusses a few tools that they have given to lead a peaceful, harmonious life. A few exercises that help doing this are discussed: stepping back into yourself, self-observation, widening the consciousness etc. Rao, Mrinalini (2004). If You Don't Mind, It Does Not Matter: A Vedantic exploration of Mind as the object of the self. The paper states that the paradigm shift of the mind as the seen and the self as the seer has significant implications for mind management. Henry, Jane (2001). Developing creativity. This paper shows how Western ideas about how creativity develops have changed over time, through a consideration of the role of inspiration, luck, ability, style, mental flexibility, motivation, experience, intuition and context. 5	Yoga: How do I find the Divine and do his work in the world? Anand, Jyoti (2004). Working through emotional pain: A narrative study of healing process. The paper attempts to understand how people work through their emotional pain to arrive at self-transformation and healing. The study provides rich insights in the role of acknowledging one's vulnerabilities and emotional release in transcending life crises and attaining inner peace. Priya, Kumar Ravi (2004). Survivors' suffering and healing amidst changing socioeconomic forces in two years of post-earthquake Kachchh. This study provides an account of the socio-historically rooted healing of earthquake survivors over a period of two years in post-earthquake Kachchh. An ethnographic approach was adopted to incorporate the changing socioeconomic context and its impact on the suffering and healing process. Anand, Jyoti (2004). Theory of Karma and Psychological Healing. This article delineates the role of the theory of Karma in the healing process of women who had undergone a major life crisis. Dalal, Ajit K. (2010). Folk wisdom and traditional healing practices: Some lessons for modern psychotherapies.. This chapter explores the characteristic features of traditional healing practices and attempts to decipher the ways in which they work. The purpose is to draw parallels between folk practices and modern psychotherapies and identify learning opportunities from ancient wisdom. Sharma, Pulkit (2004). On The Seashore: Dialogues Between Indian Psychology and Modern Psychotherapy. According to this paper in order to alleviate suffering, Indian Psychology and modern psychotherapy can complement each other; a theoretical framework is needed that could contain all levels of consciousness, which could create a possibility of a dialogue between diverse perspectives. Maslow, Jan (2001). Insight dialogue session. This paper is a theoretical and practical guide to a form of meditation known as “insight dialogue”. Mulla, R. Z., & Krishnan, R. V. (2008). Karma-yoga, the Indian work ideal, and its relationship with empathy. The relationship of Karma-Yoga with the dimensions of empathy was explored. The results highlighted the differential impact of dimensions of empathy and Karma-yoga was found to be similar to altruism motivation in the Indian context. Salagame, Kiran Kumar (2002). Psychology of meditation: Theory and practice. The article gives an overview of (mainly Western) research on and practical advice for the early stages of meditation in the context of modern life. Singh, Abha (2004). Hatha Yoga, Health and Healing. Suneetha, K. (2005). Coping with incarceration: The role of yoga, meditation, and spirituality. The chapter explores the role of religion in coping with the stresses of incarceration by prison inmates, and in bringing about a sense of well-being and happiness in their dismal existence. The efficacy of yoga, meditation and spiritual counselling have been further explored as life-transforming tools with the potential to bring about attitudinal and behavioural changes that render them less likely to return to the prison later. Wadhwa, Toolika (2007). Beyond the Prison Walls: Reforming through Silence. The article, based on a study done in Tihar Jail, focuses on how experiential meditation in Vipassana helps the inmates to attain peace of mind, deal with their emotions related to crime and reconstruct their identities. It presents the beliefs, experiences and practices of these inmates. 6	Health and healing: How can I help others, and especially those in difficulty? Brownstein, Arthur (2004). Mind-Body Interactions in Health and Healing: A Yogic Perspective. This article talks about the amazing healing system of the human body and how yoga can support this healing system to promote a superior state of mental and physical health. Dalal, Ajit K. (1999). Health beliefs and coping with a chronic illness. This paper examines the relationship between cultural beliefs about illness and psychological adjustment to a chronic disease. It argues for an integrated health care system combining the strengths of traditional healing and biomedical practices. Dalal, Ajit K. (2005). Integrating Traditional Services within Primary Health Care. This paper critically reviews the current status of primary health care services in India. The paper argues that traditional health services which have existed for thousands of years and have wide acceptance and application throughout India need to be rejuvenated and integrated within the existing health care programmes. Dalal, Ajit K. (2006). Social interventions to moderate discriminatory attitudes: The case of the physically challenged in India. Disability attitudes are the major barriers in improving life conditions of physically challenged in developing countries. In this article, some social interventions aimed at changing the disability attitudes of rural people in India are discussed. Dalal, Ajit K., & Misra, Girishwar (2006). Psychology of health and well-being: Some emerging perspectives. This paper tries to offer an overview of the salient developments in the area of health psychology by critically examining the concepts and research evidence. The key aspects of Ayurveda and the contemporary health scenario in the Indian context is presented. A comprehensive model of health consisting of three components, i.e., restoration, maintenance and promotion is presented. Elamurugan, V. S. (2004). Yoga, Liberation and Transformation, Health and Healing. This paper gives a quick review of the meaning and application of yoga. Yoga, defined here as a science of life liberates, transforms and heals. Mohan, Deepa (2005). Spirituality: Its impact on health and well-being. The chapter discusses the effect of spiritual and religious practices on human health and well-being. It reviews studies in the area of mental and physical health to suggest that health behaviour, and quality of social and family life are contingent on religious beliefs, rites and practices. Pandey, N., & Naidu, R. K. (1992). Anasakti and health: A study of non-attachment. This paper is a study of the indigenous concept of anasakti (non attachment) and its implications for health. The key features of anasakti are identified as effort orientation, emotional equipoise, and weak concern for external reward. The study empirically explored the relationship of anasakti with stress and strain. Results showed that Anasakti had a negative relationship with distress. Progressive detachment was recommended to reduce stress and lead to better performance. Rao, Mrinalini (2007). The Wave yearns to be Water: Cultural practices in the Indian tradition to invoke wholeness. The article takes a deeper look into Hinduism and the various psychological implications it has on the modern practitioner. Raveesh, B. N. (2004). Role of Religion in Health. This paper presents a study undertaken to learn about the religious beliefs of hospitalized inpatients and to assess the importance of utilizing religious beliefs in treatment. Dalal, Ajit K., & Biswas, G. (2009). Self-construal among healthy and chronically sick women. The nature of self-construal was qualitatively explored among healthy and chronically sick women. The narrative analysis of their life scripts focused on the role of health and life circumstances in shaping their self-construal. It was found that most of these women construed their selves in terms of their role relationships. Dalal, Ajit K., & Singh, A. K. (1992). The role of causal and recovery beliefs in the psychological adjustment to a chronic disease. This paper attempts to study psychological adjustment of hospital patients seeking treatment for tuberculosis using the attributional theoretical approach. They examined patients' perceptions of their disease, its causes and the factors which may be responsible for recovery. The findings highlighted the importance of cultural factors in shaping patients' perception of the causes and recovery. They revealed the extent to which metaphysical concerns shape the construction of illness in India, and also explain why patients seek alternative healing systems. Gala, Jigisha (2004). Coping With Stress Among Indian Adolescents Belonging to the High Income Group. This paper is a study on the various ways of coping with stress employed by adolescents. Two major ways found to cope with stress are: problem solving and managing emotions. Pahwa, Manasi (2004). Spirituality and Counseling. This paper expresses the need for counsellors to not only develop skills of empathy but also of understanding and love. It states that, “love brings profound healing, and understanding brings lessening of fear”. Pandey, Alok (2004). Psychotherapy and Indian Thought. This chapter provides a broad overview of the many ways in which Indian psychological concepts and practices can be used in all aspects of counselling and psychiatric care. Mohan, K. Krishna (2001). Spirituality and well-being: An overview. This paper shows the close relationship between spirituality and well-being by presenting research based evidence that spirituality or a spiritual way of life has a bearing on well-being. In addition, it shows that ideas or concepts drawn from spirituality can be effectively applied to counselling and psychotherapy. 7	Education: How can I help others to learn? Cornelissen, R. M. Matthijs (2011). Are Schools Injurious to Health?. Educational theories and policies tend to include noble and inspiring ideals regarding the "all-round development" of the students. The practice lives, however, rarely up to the intent. More often than not, the content of the curriculum and the manner in which it is transacted are such, that a negative effect on the healthy development of the students is almost inevitable. This chapter asks attention for some of these factors, and suggests that much could be gained, if we would be more open to what the Indian tradition can contribute to contemporary psychology. Goswami, Ayushman (2004). Yoga, Meditation and Education: A way of character building. This paper deals with the Gita’s perspective on Yoga in relation to improving the quality of education, methods of teaching, and morale of teachers. A short, but comprehensive introduction to the theory and practice of Integral Education as practised in Mirambika. Mendiratta, Ankita (2004). Integral Education: Learning through Self. This paper discusses the principles of Integral education and presents a case study of Integral education put in practice at a laboratory school in Baroda. Mohan, Aruna G. (2004). Self-Awareness of the Teacher Develops a Holistic Approach to Education (J. Krishnamurti's Perspective). This paper expounds the perspectives of J. Krishnamurti on education, in particular the importance of observing and learning one’s own inner psychological structure. Huppes, Neeltje (2004). Psychic Education: A workbook based on the writings of Sri Aurobindo and the Mother (bk). This book was initially meant as a practical guide for teachers and trainees at Mirambika, the Free Progress unit of the Sri Aurobindo Education Society at New Delhi. Over time it has, however, proven invaluable for many others who are not directly involved in education, but who are serious about their spiritual growth, and who want to implement spirituality in their daily life and work. Krishnan, Meenakshi (2011). A Participant's view of the IPI introductory course in Indian psychology. This article is about the Introductory Course on Indian Psychology oraganized by IPI. Kumar, Sanjay (2011). Significance of workshop on Indian psychology: A participant's review. Samson, Urmila (2004). Towards a New Education. This paper outlines the needs of children during different stages as they grow up, which, if fulfilled, will contribute to holistic development. Auluck, Shanti (2004). Swabhava and swadharma of students and educators, concerns about individualized and value oriented education. This paper discusses the concepts of ‘swabhava’ and ‘swadharma’ in the context of modern-day education. Basu, Srila (2007). Journey of a Teacher. Batra, Poonam (2004). Education for Social Transformation: Recognising the 'Agency' of the Teacher. This paper discusses school reforms in India. It points at establishing a case for recognizing the ‘agency’ of the teacher in the process of education and learning and it examines some of the key elements and pedagogical features of an integrated teacher education programme that is likely to enable deep reform while engaging with some of the more fundamental questions related to knowledge and the aim of education. Huppes, Neeltje (2011). Teaching Indian Psychology — Challenges and Prospects: An application-oriented paper. This paper discusses some of the ways and means related to content and process of teaching Indian Psychology. It also addresses the question regarding how to give consciousness its rightful place when we bring Indian psychology back into the classroom. Mehra, Beloo (2004). Individualised and Collaborative Learning: Towards Integral Studies Curriculum at AUM. This paper provides a brief account of the work being done with regard to finding ways and approaches to bring Indian contributions to inner sciences into the learning experiences of the students at Antioch University. 8	Social development: How can I make the society a better place to live and work? Krishnan, Lilavathi, Varma, P., & Pandey, V. (2009). Reward and punishment allocation in the Indian culture. Two scenario studies examined justice perceptions in Indian samples. It was suggested that subjects thought in terms of merit and need, instead of merit or need. Need and merit were rated as being similar in importance when deciding a fair punishment. Attention was drawn to several aspects of justice perception, especially those related to punishment. Marwaha, Sonali Bhatt (2005). Living with poverty: Are psycho-spiritual dimensions the x-factor in family resilience? A proposed research agenda. The chapter explores the sense of well-being, feelings of happiness and depression among the rural and urban poor. In the process, the extent and role of religious beliefs and practices in coping with poverty have been investigated. Dalal, Ajit K. (2006). Psychosocial Interventions for Community Development. The chapter argues that it is a major challenge for the Government, bureaucrats, activists and social scientists to prepare viable community development programmes. The psycho-social barriers to community participation have been discussed and ways are suggested to facilitate it. Malik, Pravir (2002). The Flowering of Arvind Eye Care System. Pandey, Ashish (2009). Spiritual Climate of Business Organizations. A well-developed research paper on the importance of spirituality in management: its role and relevance. As the author states, “ the major thesis of this research is that spirituality of employees is reflected in work climate” and this in turn leads to a positive affect of the employees’ service to the customers. Bhosale, Sushama Jayant (2004). Application of Indian Philosophy, Yoga and Spirituality to Psychology as an academic Science. Mathew, V. George (2002). Integrative Approach to Psychology. Mathew, V. George (2007). The Psychology of Spirituality and Yoga. Paranjpe, Anand C. (2002). Challenges and Opportunities for Indian Psychology in a Rapidly Globalizing Post-modern World. This article talks about the lingering challenge presented by post-colonial mentality and by the forces of Westernization to the Indian contributions to psychology. Indian psychology needs to be taken seriously in the academic world. Paranjpe, Anand C. (2004). Challenges of Personality Research in India Today. Patel, Aster (2002). Psychology in India: A future perspective. Patel, Aster (2004). The Psychological Perspectives of Our Times: Three Shifts of a Rhythm. Rao, K. Ramakrishna (2004). Indian Psychology: Implications and Applications. Roy, Manashi (2007). Foundation of Indian Psychology (essay). Sachdev, Deepti (2002). Yoga and Indian Approaches to Psychology as a Means to Effect Change and Transformation (DS). Singh, Kundan (2002). Relativism and its Relevance for Psychology. Varma, Suneet (2002). Academic Psychology in India: Past Trends and Future Possibilities. Akhter, Jamal (2002). Indian Psychology and Practical Applications of Yoga. Daftuar, C. N. (2002). Spirit, Mind and Body Connection (a new field for research in psychology). Dubey, S. N. (2004). Yogic Life Style of Indians. Dwivedi, Shweta (2007). Yoga and Yogic Knowledge Past and Present. Ganguli, Devdip (2004). The Adventure of Consciousness: India's spiritual evolution. Huppes, Neeltje (2007). All Life is Yoga — Applying Integral Psychology in Personal Life and Work. Mishra, Kalyani (2002). Yoga and Indian Approaches to Psychology as a Means to Effect Change and Transformation (KM). Nene, Damodar V. (2004). Psychology of Hinduism. Sahai, Vijendra (2002). Yoga Psychology: An Indian Approach to Psychology. Sahay, Pragya (2002). Psycho-Philosophical Basis of Yoga. Sharma, Jyotsna (2007). Indian Philosophy and Human Development. Vagrecha, Vimla (2002). Yoga for Householders. Deo, Savita (2007). Buddhism on Human Personality: Psychological Response to Dhukkha. Jha, V. N. (2007). Nyaya-Vaisesika Theory of Mind (manas) and the Conscious (atman). Kanuri, Ramanakumar (2007). The Relationship between the Real and Apparent in the light of Meher Baba. Kapur, Preeti (2007). Spirituality is Empirical: Some Insights from the Sikh Tradition. Kashyap, R. L. (2002). Psychology in the Rig Veda and Yajur Veda Mantras. Kashyap, R. L. (2004). Psychological Ideas in the Veda and Their Relevance for Moderns. Lekshmi, R. (2007). Swami Vivekananda's Vision of Man and His Excellence: A Psychophilosophical Approach. Rajani, K. R. (2007). Yoga: A Perspective of Gita and Sri Aurobindo. Raveh, Daniel (2007). Transformation of Consciousness in Patanjali's Yogasutra and K.C. Bhattacharyya's thought. Sharad, Shivantika (2002). Contemporary application and practices of Indian Psychology as taught by Lord Krishna in Geeta. Shirazi, Bahman A. K. (2007). Key features of Integral Yoga. Arora, Neeta (2007). Critical Consciousness. Baniwal, Vikas (2007). Chariots of the Gods: A Study of Vahan in Indian Mythology. Basu, Soumitra (2002). Evolution of Cognitive Consciousness. Basu, Soumitra (2007). The Cosmic Consciousness - Sri Aurobindo's Perspective in The Life Divine. Bhatt, S. R. (2004). Pure Cognition: Philosophical Analysis from Nyaya Point of View. Gupta, Monica (2002). Revitalizing Developmental Psychology: Sri Aurobindo's Theory of Human Development. This chapter attempts to explore Sri Aurobindo's theory of human development and examine its potential to revitalize the field of Developmental Psychology. Iatsenko, Vladimir (2004). Vedantic Approach to Consciousness: Some metaphysical background. Jha, V. N. (2004). Nyaya Vaisesika ways of perceiving the world. Misra, Girishwar (2004). Understanding Causality In Psychology and Indian Thought: Some Methodological and Applied Implications. Mohrhoff, Ulrich (2004). Psychology All the Way Down. Mohrhoff, Ulrich (2007). The Transparent Brain. Mukhopadhyay, Susmita (2004). A Probe On Indian Psycho-Philosophy. Pradhan, R. C. (2002). Rising upto the Supramental Consciousness: Need for a new psychology. Rao, K. Ramakrishna (2002). The Centrality of Consciousness in Classical Indian Psychology. Ratan, Prashant (2007). Nothingness (shunyata): Essence of all phenomena. Singh, Kundan (2004). Moral Relativism and the Practice of Integral Yoga. Singh, Kundan (2007). Indian Psychology and the Evolution of Integral Consciousness. Srinivas, K., & Mohan, K. Krishna (2002). The concept of Mind in Orthodox Indian Thought: Its Implications for Modern Psychology. Tewari, Anil Kumar (2004). Citta: Substance versus flux. Vagrecha, Y. S. (2002). Causes of Violence and Unity of Consciousness. Vaidya, P. G. (2002). An Information Theoretic Approach to the Issues of Collective Unconscious and Superconscious. Wood, Ananda (2002). Old ideas of mind. Wood, Ananda (2004). Physics and Psychology. Bashyam, S. (2007). Models for Intellectual Development from Patanjali Yoga Sutram, Bhagvad Gita and Taittiriya Upanishad. Fernandes, Jacksan John (2007). Influence of Personality on Religiosity and Paranormal Experiences. Jha, Arbind Kumar (2007). The Individual in Indian Thought System: Implications for Indian Psychology and Education. Ram, Usha (2002). Personality discussed in Bhagwad Gita. Srivastava, Usha (2002). Indian Concepts of Personality and Higher Levels of Mind. Basu, Soumitra (2004). The Place of Ego in Sri Aurobindo's Psychological System. Bhawuk, Dharm P. S. (2007). Manas in Yajur Veda, Bhagavad-Gita, and Contemporary Culture: Beyond the Etic-Emic Research Paradigm. Cortright, Brant (2002). The Meeting of East and West: The Fusion of Vedanta and Western Psychology in Integral Psychology. Marwaha, Sonali Bhatt (2007). Perspectives of Belief Systems on Concept of Self. Murthy, Pannaga K. (2002). Study of the concepts ahamkara and ego functions. Prasad, Shanti V. (2007). The Social Self in Indian Belief Systems. Raghuram, N. V. (2007). Ego In Indian Philosophy. Reddy, Ananda (2004). The Subliminal Self and Its Relation with the Outer Personality. Sharad, Shivantika (2004). Authenticity and Self: Biographical accounts from a psychological perspective. Shukla, Aradhana (2002). Dimensions of Indian and Western psychology. Srivastava, G. N. Prakash (2007). Indigenous Views on Epistemology, Self and Consciousness. Srivastava, Usha (2004). Indian Concepts of Self and Personality. Varma, Suneet (2004). One Self or Many Selves. Anjali (2004). An Analysis Of the Concept of Lalan-Palan as Directing Mother Baby Interactions. Khan, Abdul Majeed (2004). Family, Migration and Ageing: A new Perspective of Health Psychology. Prakash, Indira Jai (2004). Saging — Development in Old age. Prasad, Aravind (2007). The Individual and his/her Development: Child Development, Aging, Ashramas. Rastogi, Himanshi (2007). Value Systems During Brahmacharya Ashram. Satija, Sarvesh (2002). Srimad Bhagavad Geeta — A Resource Book for Parenting. Daftuar, C. N. (2002). A New Approach to Measure Spiritual Quotient (SQ). Dash, A. S., & Rout, Mamata (2002). Indian Concepts of Personality. This article presents a very brief overview of the various Indian views on personality. Deo, Savita (2002). Addictive Personality and its Counterpart in Indian Psychology. Deo, Savita (2004). Personality Types: Indian and Western. Murthy, Pannaga K., & Salagame, Kiran Kumar (2004). The concept of "guna": A critical analysis. Sharma, Anamika (2004). Handling Conflicts as Yoga by Augmenting Spiritual Intelligence. Sharma, Anamika, & Jain, Madhu (2002). Yoga as an Intervention Strategy for Augmenting Spiritual Intelligence. Singh, Jitendra (2007). Personality Types in Indian tradition and their Relevance in Contemporary Period. Taneja, Puja (2002). Triguna as Mediating Variable in Stress and Well-being Relationship: A theoretical model. Tripathi, A. N. (2007). Pursuit of Human Excellence and the Indian Psycho-Spiritual Insights. Bhatt, S. R. (2007). Pure Cognition: Psychological Fact or Logical Myth. Quentic-Sequy, Martine (2004). Vedantic Interpretation of Dreams. Ranade, Sraddhalu (2002). Parapsychological Phenomena in the Light of Yogic Science. Saha, Proshanto Kr. (2007). The concatenation of four P's in Indian framework of Cognition. Sharma, Subhash (2005). Quantum States of Mind: Ordinary perception to Extra-Ordinary Perception. The traditional classification of the four states of consciousness - waking state, dream state, sleep state, and transcendence state (Turiya) - is combined through quantum states of mind - ordinary perception, extra-sensory perception and extra-ordinary perception - to create a 12 state consciousness-perception matrix. The paper elaborates on the concept and nature of the three quantum states of mind, their correspondence to the body, mind and spirit and considers the relation of extra-ordinary perception to cosmic consciousness. Menon, Sangeetha (2007). Epistemology of Experience: Challenges for consciousness and neuropsychiatric studies. Cornelissen, R. M. Matthijs (2007). Yoga as research method. Priya, Kumar Ravi (2007). Experiencing Our True and Transcendental Self: What Recent Developments in Qualitative Research has to Offer to Researchers and Participants. Roy, Debdulal Dutta (2004). Picture drawing test to assess consciousness layers of tribal children. Salagame, Kiran Kumar (2004). Issues and Problems of Assessment in Consciousness Research. Sedlmeier, Peter (2004). Western Scientific Methods and Indian Psychology: How far can they go together. Iatsenko, Vladimir (2002). Bhartrihari and the Theory of Sphota. Murali, S. (2004). The Aesthetic Dimensions of Sphota and Dhvani. Deo, Jay Mangal (2002). Buddhist Approach to Emotional Management. Devaki, P. Baby (2004). Emotional Intelligence and Indian Thought. Duggal, Shalini (2007). A Study of Positive Psychological Characteristics: Relationship between Life Satisfaction, Grit, Gratitude, Happiness and Meaning in Life. Kapadia, Mala (2007). Indian Psychology or Greater Psychology and Era of Emotional Intelligence. Misra, Girishwar (2002). Emotion in Modern Psychology and Indian Thought. This paper presents an overview of the developments in the study of emotions in mainstream psychology and to explore some of the Indian contributions of Rasa theory that may enrich this field of human enquiry. Palsane, M. N. (2002). Role of Yamas and Niyamas in Shaping the Attitudes towards the Environment. Seidlitz, Larry (2004). Emotion and its Transformation in Sri Aurobindo's Yoga Psychology. Agarwal, Adesh (2004). Nishkama Karmayog and Anasakti: Motivation for Self Realization. Gaur, Sunil D. (2004). Why Am I Here? Towards an Indigenous Psychology of Motivation. Rao, Mrinalini (2002). Karma Yoga as Preventive Therapy. Sharma, Kavita A. (2011). From Despondency to Action: The Transformation of Arjuna and Yudhishdhira in the Mahabharata. Babu, Victor K. (2007). Human Relationships In Yoga: Sri Aurobindo's Perspective. Lim, Shin Sang (2007). Spiritual Journey in Inter Religious Discourse: Surrendering Self in Bhakti and Christian Mysticism. Sebastian, K. A. (2002). Some Reflections on Meditation and Intimacy. Dutia, Asha (2004). Aesthetics of Change: How family therapy works. Minhas, L. S. (2002). An Indian Theory of Music and Its Impact on Human Mind. Mishra, Prafulla K. S. (2004). Aesthetic Experiences (Relish of Rasas) in different frameworks. Nalini, B. (2002). Psychosocial Aspects of Classical Dance Forms of India. Panda, Minati (2011). Cultural Construction of Creativity: Dualism and Beyond. Sharma, Pradeep (2004). The Psychological Mode of Existence of a Work of Art. Uma, & Sahai, V. (2004). Aurobindo's Philosophy as exhibited in his Poetry through Consciousness. Udhayakumar, C. S. (2007). Yoga and Personal Growth. Upadhyaya, Ishita (2007). Meaninglessness: An opportunity for a new beginning. Bajpai, Reena (2007). Concept and Role of Kriya yoga in Patanjala Yoga Sutra. Goswami, Ayushman (2002). Yogata Karmasu Kaushalam. Isaac, Beena (2007). Meditation — an absolutized consciousness. Madan, Ranjana (2002). Indian Approaches to Psychology as a Means to Effect Change and Transformation in the Light of the Teachings of Sri Aurobindo and the Mother. Panguluri, Lalitha (2007). Stress management through Ashtanga yoga of Patanjali. Priya, Kumar Ravi (2004). On Becoming purush: Excursions in Gandhi's Pursuit of seva. Radhakrishna, Shantha (2007). Using Yoga Therapy (YT) to increase communication, social and cognitive skills in children with autistic spectrum disorders. Ramamurthy, Devaraj (2007). Sarala Mandukasana. Rao, Usha (2002). Yoga and Indian Approaches to Psychology as a Means to Effect Change and Transformation (UR). Renukadevi, S., & Mukhopadhyay, B. (2002). Chakra Meditation in Achieving Altered States of Consciousness. Sharma, Anshuman (2007). Preksha Meditation as a Treatment Modality for Mental Health: A Pilot Study. Sharma, R. S. (2007). Mano-Yoga Therapy (M.Y.T. ): A Clinical Method. Sharma, Swati (2007). Hatha Yoga and Health (SS). Shetgovekar, Suhas (2007). Petal Oracle (Prasad Pakhali): A Psychotherapeutic Approach. Supriya, & Sahai, V. (2007). Advantages of Yoga. Tripathi, K. M. (2007). Components of Psychotherapy in Yoga Sutra. Rana, Suvashisa (2004). Human Development over One and Many Lives. Agarwal, Adesh (2002). Spritual and Subjective Well-Being in Indian Tradition and Contemporary Psychology. Ashar, Haresh (2007). Study of Metropolitan Psychology and Managing Occupational Stress through Yogic Techniques. Bala, Indu (2007). Vipassana: A Practical Approach for Mental Peace. Bijlani, R. L. (2002). The yogic view of life with a special reference to medicine. This chapter discusses the relevance of yoga as a way of life in dealing with health and happiness. Gaur, Sunil D. (2007). Rethinking Well Being. Kothari, Saroj (2002). Yoga and Health. Kumar, Kuldeep (2007). Faith in the Doctrine of Karma: Effect on Psychological Well Being and Life Satisfaction. Lakshmi, L. Bhagya (2007). Hatha Yoga and Health (LBL). Murthy, B. Krishna (2002). Yoga in Promoting Mental Health. Ojha, Sandhya (2002). Yoga: As a Psychological Discipline. Singh, Arun Pratap (2007). Religiosity and Well Being among Urban Adolescents: Implications for Life Style Intervention Programme. Singh, Maneesha (2007). Does Spirituality Help in Keeping Oneself Healthy?. Kumar, Navin (2007). Yoga Nidra: A Psychotherapeutic Tool For Stress Management. Misra, Nishi (2002). Application of Yoga in the Management of Stress-Related Illnesses. Nachimuthu, P. (2004). Relevance of Rituals. Nagarathnamma, B. (2002). Effect of Yoga in the Alleviation of Psychosomatic Disorders. Husain, Akbar (2002). Maulana Ashraf Ali Thanvi's Viewpoint on the Concepts of Normality and Abnormality. Naqvi, Arshi Raza (2002). Siddha System of Medicine: The South Indian Alchemy. Ram Manohar, P. (2007). Ayurvedic approach to treating disorders of the mind. Ahi, Sneha (2007). Silence and Healing. Anand, Jyoti (2007). What is Psychological Healing? Towards Identifying its Salient Attributes. Bijlani, R. L. (2007). A Spiritual Approach to Cognitive Therapy. Dalal, Ajit K. (2004). Folk Wisdom and Traditional Healing Practices: Some Lessons for Modern Psychotherapies. Dalal, Ajit K. (2007). Indigenous belief system and its linkages with mental and physical health. Dhingra, Niti (2007). Furthering Integration between Eastern Spirituality and Western Psychotherapy. Dilipkumar, K. V. (2007). Ayurvedic perspective of psychotherapy. Dokkupalle, Saroja (2004). Effect of behaviour, hypno and spiritual therapies on management of anxiety neurosis. Khalsa, Sat Bir (2004). Yoga as a Clinical Intervention for Psychological Conditions. Kirmani, Mustafa Nadeem (2002). Rituals as part of Therapeutic Systems in India. Manickam, L. Sam S. (2004). Integrative Change Model in Psychotherapy: Perspectives from Indian Thought. Menon, Sangeetha (2004). Healing through love, debate and just being: Instances from Indian traditions. Mohan, Radha (2004). Hypnotherapy as a Psychotherapeutic Tool to Transformation. Ojha, Sandhya (2004). Psychotherapy in Ayurveda. Patel, Chandrakant P. (2002). Tics and Suicidal Proneness Treated with Integral Psychology. Ranta, Randhir Singh (2007). Management of Stress and Coping Behavior of Police Personnel through Indian Psychological Techniques. Robinson, S. (2002). Yoga and Indian Approaches to Psychology. Sovatsky, Stuart (2002). Spiritual Depths of Admiration in Family Therapy: Grihasta — Family Life as a Spiritual Path. Tripathi, K. M. (2002). An Indian approach of psychotherapy: Sattvavajaya — Concept and application. This chapter discusses the concept and application of the psychotherapeutic system of Ayurveda known as "sattvavajaya". Tripathi, K. M. (2004). Pratyahara — as a technique of Mental Health management. Varma, Suneet (2007). Self work as a prerequisite for counselors and therapists: An Indian perspective. Vyas, Bhaskar (2004). Utilization of Archetypal Symbols from Indian Tradition in Hypnotherapy. Vyas, Rajni (2004). Scientific Foundation of Hypnotherapy. Balakrishnan, R. (2004). Yoga Attitude and USHA Well-being among Yoga practitioners. Bhushan, Braj (2004). Cognition and Consciousness Research: Integrating Science and Spirituality. Deuskar, Megha (2002). Yoga Nidra and Stress Reduction. Gaur, B. P. (2004). Effect of Preksha Meditation on Management of Stress in Teenagers. Husain, Akbar, & Yaqub, Kekhashan (2002). Yoga: A Holisitc Approach to Spiritual Health and Well-Being. Khubalkar, Rupashree (2002). Psycho-Physiological Effects of Integral Meditation (yaiap). Khubalkar, Rupashree (2004). Psycho-Physiological effects of Integral Meditation (ipyc). Manjunath, N. K. (2002). Changes in the Depression System Scores and Self-rated Sleep of Institutionalised Elderly Persons Following Yoga and Ayurvedic Interventions. Mishra, Gyandeep (2007). A study of effect of Pranic Healing (Prana Therapy) on Blood pressure and alpha EEG. Mohan, K. Krishna (2004). Spirituality, Mental Health and Psychotherapy. Murthy, A. R. V. (2007). Conquest of Mind — The Methods and Means. Muthu, A. Madalai (2002). Yoga and Stress Management. Naveen, K. V. (2002). Yoga and Psychosis: Risks and Therapeutic Potential. Pandith, Shilpa Ashok (2007). Quality of Life: A Yogic View Using Qualitative and Quantitative Research. Panwar, M. R. (2002). Effects of Yogic Exercises on Mental Functions at High-Altitude Acclimatization. Prakash, G. P. (2002). Effect of Yoga on Blood Pressure and Moods of Grassland Scientists of Jhansi. Rani, N. Jhansi (2002). Effect of Enhancement of Oxygen Supply through Yogic Procedure on Cognitive Task Performance. Satapathy, Sujata (2002). Combined Effect of Art of Living, Counselling and Medical Treatment on Specific Mental Disorders: Some interventional case studies. Saxena, Manjari (2007). Comparative Study Of Various Breathing Exercises (Pranayama) And Meditation On Cases Of Bronchial Asthma With Mild To Moderate Severity. Saxena, Tarun Kumar (2007). Effects Of Various Exercises (Yogic / Walking) On Fresh Cases Of Type-2 Diabetes Mellitus And Their Relation To Serum Insulin Level. Sharma, Anshuman (2004). Effect of Preksha Meditation on Frustration of Prisoners. Sudha, P. (2002). A Comparative Study of Psychological Distress Among Practitioners and Non-Practitioners of Yoga. Telles, Shirley (2002). Yoga and Psychology: A Brief Overview of Research at Swami Vivekanand Yoga Research Foundation. Chauhan, Gargi Singh (2004). A Teacher's Words, Motivation for Self-Knowledge and Self-Development. Mohanty, Alok (2007). Need For Self Awareness and Reflection Activities in a School Context. Srinithi, S. S. (2007). Studenthood: The Manifestation of 'The Indomitable Spirit'. Basu, Srila (2007). Reflective Practices in elementary education. Jha, Arbind Kumar (2004). Learning Paradigm: Indian Tradition. Joshi, Anuradha (2004). Learning to Live, an overview of Jeevan Vidya. Mohan, Aruna G. (2007). Thought and Sans Thought in Holistic Living of Learners. Ramalingam, Panch (2004). Pedagogical Techniques in the Ancient Indian Scriptures. Raul, Baren Kumar (2007). Learning through Project in Mirambika. Sethi, Rashmi (2007). Search for Methodological Options in Education — The Upanishadic Way. Sibia, Anjum (2004). Education for Life: The Mirambika Experience. Batra, Tripta (2004). Peace Education, Self Development and Teacher Education. Baveja, Bharati (2004). Teacher Education in India: Towards an Alternative Framework. Baveja, Bharati (2007). Reflective Practices In Teacher Education. Ram, Usha (2004). Teacher Traits of Ancient India Are Valid Even Today. Vijaybharti (2004). Waking Up to Oneself. Gunusekaran, M. (2002). Improving the Cognitive Functions in the Language Learning Area of Learning Disability Children through Yoga. Jagannathan, S. (2007). Cultural Education: It's Role in Integral Development of Engineering Students. Sharma, Neerja (2004). Education of Children with Special Needs: Reflections on Best Practices to Assimilate Children in the Mainstream. Dwivedi, Shweta (2004). Yoga an Important Process in the Education of Human Beings. Kumaran, Shankar V. (2007). Education: How to Teach Indian Psychology. Parasher, Divya (2007). Indian Psychology: A way to self-discovery. Ramalingam, Panch (2002). Challenging Dimensions of Indian Psychology. Sharma, Manju (2004). Implementation of Yoga Programme in Schools: Need of the hour. Viswanathan, S. (2002). Yoga Education in Annamalai University: A role model centre, funded by UGC and approved by NAAC. Anjali (2007). Transmission of Values or Transition in Values?. Chaudhary, Anshu (2007). Un-bounding the bonding: The search for the meaning of marriage. Chaudhary, P. N. (2002). Indigenous Indian Psychology: Whether modulative or generative orientation. Dolichan, Kollarath M. (2007). Human Models and Developmental Efforts. Krishnan, Lilavathi (2007). Interpersonal Dynamics in Indian Psychology. Kulkarni-Bhangaonkar, Rachna (2007). Decoding 'Antim Sanskaar' (Hindu Death Rites): Insights on Cultural Continuity from Hindu, Maharashtrian Families. Kumar, Aswani (2007). Oneness of God: Psychological Reflections on the Communal Problems in India. Kumar, Prema Nanda (2004). Strengthening the psyche: The Savitri way. Mishra, Nidhi (2007). Perception of Old Age among the Elderly. Raturi, Radhika (2007). Grieving traditions in India: A Psychological Outlook. Samson, Urmila (2007). Continuing towards a New Education. Singh, Purnima (2007). Lessons from History: Conception of Retribution and Revenge in the Indian Mindscape. Subhalakshmi, Salam (2007). Feminine Principle in Manipuri Religion and Culture. Thingujam, Nutankumar S. (2002). Death Anxiety among People of Peaceful and Disturbed Areas: A comparative study. Vyas, Dipika Bipinchandra (2004). Spirituality in Loka Sangraha. Pirta, R. S. (2002). A Holisitc Model of Sustainable Development: An Indian approach to environmental psychology. This article presents an outline of a cognitive model of development ingrained in the Indian ethos, that has implications for environmental psychology. Arun, B. K. (2007). The Invisible Synthesis of Eastern and Western Managerial Thoughts Through the Subtle Principles of Yoga - An Empirical Study. Gangopadhyay, Mugdha (2004). Putting People at the Heart of Corporate Strategy: Implication of Indian Psychology. Gupta, R. K. (2002). Individualized Familial Self: An Empirically Based Conceptualization of the Evolving Self of Professionally Educated Elite in a Developing Country. Kanuri, Ramanakumar (2004). The influence of Consciousness on the Science of Management. Maitreya, C. V. K. (2004). Management of Spiritual Organisations: An ideal approach using Indian concepts. Mathur, Shalini (2007). Evolution of Recent Management Tools from Ancient Vedic Philosophy. Pandey, Ashish (2004). Social Development: Inside-out approach In Indian Ancient Wisdom (Learning for Business Organizations). Pandey, Ashish (2007). Spirituality in Management: A Synthesis of Contemporary and Traditional Thoughts and Agenda for Research. Prakash, Anand (2002). An Indigenous Perspective on Organizational Behaviour in India. Prakash, Anand (2004). Discovering the Human Side of Enterprise by Reorganizing Indian Organizations. Reddy, Kittu (2002). Organisational psychology in the Indian Context. Remella, Uma (2002). Transformational Leadership. Roy, Debdulal Dutta, & Mukhopadhyay, Susmita (2002). Spiritual Health of Organisation: A new vision of organisational change in rural bank development. This article analyzes the relative importance of organisational spiritual health variables in predicting differences between high and low job satisfied groups. The study was carried out in rural banks. Seghal, R. C. (2004). Work-Culture and Its Dimensions. Sehgal, Surbhi (2004). Disinvestments of a Public Sector Organization: Study from People Perspective. Singh, Pawan Kumar (2004). Indian Ethos and Human Resource Development.